1. 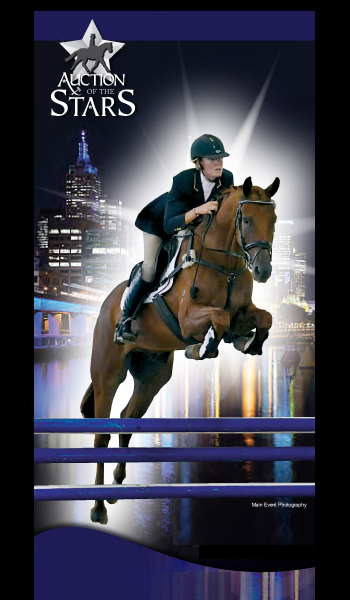 A fantastic pedigree being by Jive Magic who is showing all the signs of becoming Australia�s number one dressage horse and a very likely candidate for the World Equestrian Games team later this year. Jigsaw R is out of Billy R who is a full sister to Grand Prix winner Centaur who was ridden by Ann Serrao. 2. Jigsaw R is already broken-in. He will be shown free but is very quiet under saddle, already accepts the bit nicely and is just on his way to being a sensational riding horse. 3. Jigsaw R does have some lovely paces and also a lovely disposition, which is very gentle. 4. Jigsaw R does have the most amazing colour splash of white, which is so Dutch and so difficult to explain. He also has four white stockings going up to the knees and hocks. 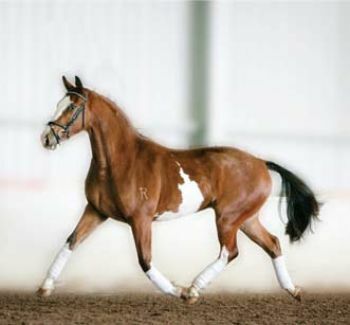 This is a beautiful, beautiful individual who is already training under saddle and just goes better and better everyday. He is very unusual.